Come to our store and get free gifts for purchases above Rs.1500. 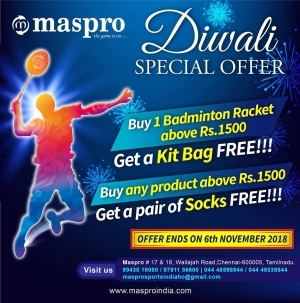 - For Badminton rackets worth Rs.1500 or more get kit bag FREE! - For any other purchase of products worth of RS.1500+ get a Pair of Socks for FREE!